New York Times bestselling author and artist Mary Engelbreit shares a beautifully illustrated collection of her favorite quotes. This keepsake book is perfect for inspiring children as they grow and learn—and it makes a lovely gift for Mary Engelbreit fans, moms and other family members, and teachers. 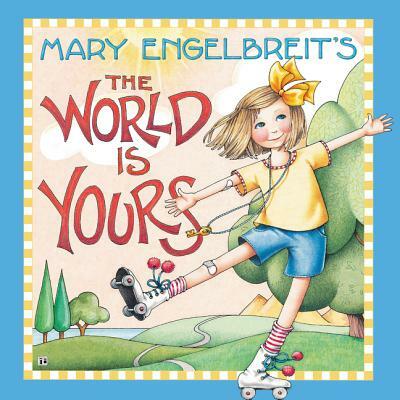 Whether readers are moving up from preschool or kindergarten, or perhaps facing other major milestones, Mary Engelbreit’s The World Is Yours has just the right words of encouragement for any occasion. With insight from icons ranging from William Shakespeare to Helen Keller, kids will receive helpful, humorous, and heartfelt advice for the ups and downs they’ll encounter all along the way to becoming the best version of themselves they can be.